written by Taylor Swift (probably) and audio directed by Pharell (probably). *Mac Miller + Hoodie Allen = cool older brother rap. *Sam Smith needs to go on tour with Adele. Please. Take my money. *How good is B.o.B.? So good. *And in their off time, ONEREPUBLIC are definitely pyros. Good song though. * I have no idea who they are but I like this song. Good call Pandora. ps. make sure you're following me on Bloglovin', just incase GFC has another spaz attack. pps. I HAVE A WIKIPEDIA PAGE. STAY CALM. FREAK OUT. I DID. YOU HAVE A WIKIPEDIA PAGE??! So cool!! Also, love these songs! You are very inspirational, and a great writer. I feel that you voice speaks to so many people. Congrats on the Wikipedia page, it's so cool! Also, thanks for the blog visit recently and Of course I will follow you on Bloglovin. 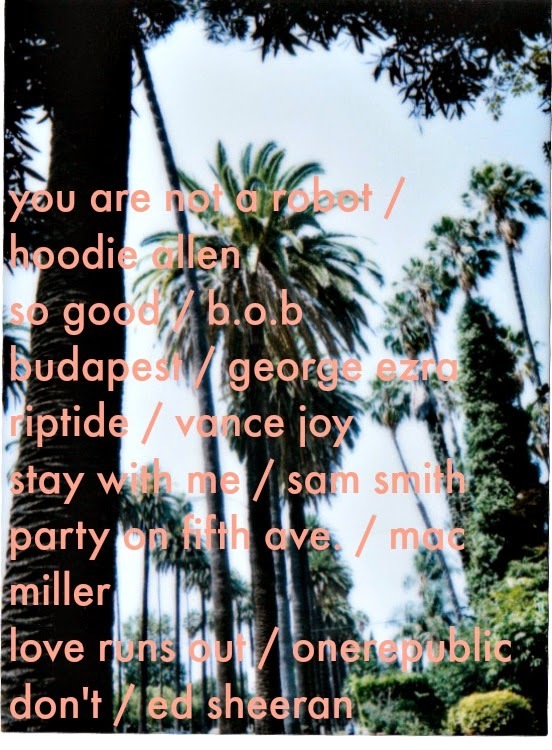 some really good songs here! Tell me what I want to hear. Or what you want to say. If you're mean, I'll track you down and replace all your shoes with those hideous white tennis things that are so popular among the very sad. and I'm going to change your life. Who exactly am I? good question padawan. click here. If you steal something off my blog, well, lets just put it like this: I will track you down and force you to clear a path to the back of my closet. No one will ever see you again. All the photos on this blog, unless taken by me, are linked to the site I found them on. If I used your picture, and you want me to take it down, just tell me. *If something has been gifted to me by a brand, or magically appeared in my closet, I'll point it out by the usage of an asterisk (*) or bold lettering. * I made a promise to never tell you I love something on this blog that I haven't held in my hand and obsessed myself, and I won't. *I scour the websites of any brands I work with to make sure I'm cool with you, my beloved reader, possibly wandering their pages. 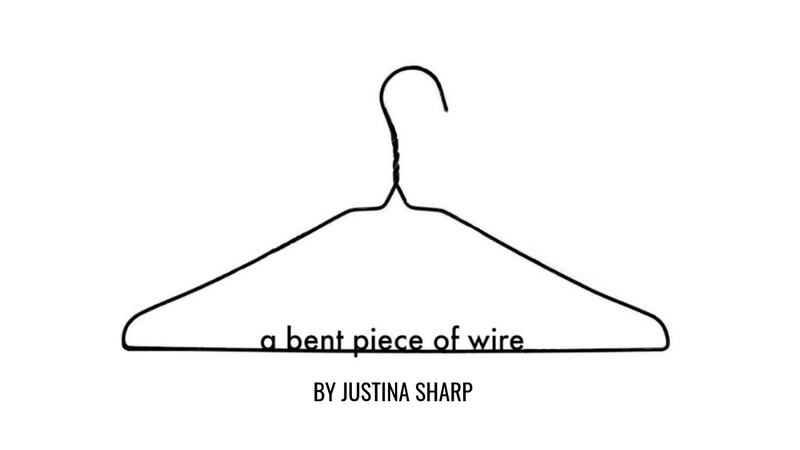 This is very important to me, and if you come across something you think I may have missed + probably isn't something I'd love, email me at justina@abentpieceofwire.com and let me know. Want your ad or link here? It is a pretty gorgeous spot.